Autonomous, ocean-going vessels have been launched from Alaska for oceanic research in the Bering Sea. 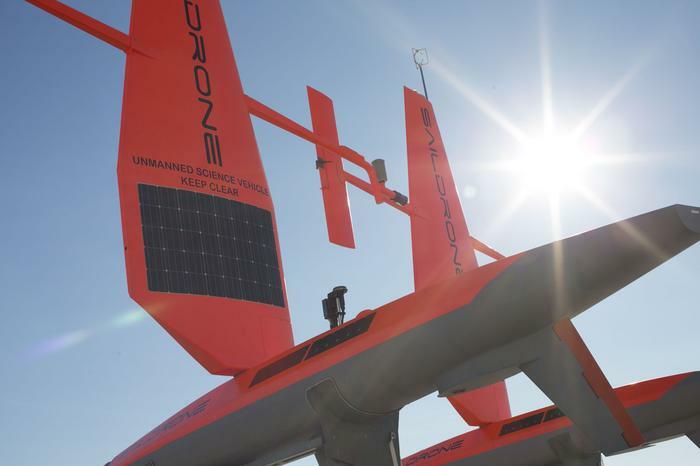 NOAA has partnered with Saildrone, Inc. to monitor the vital signs of the sea–wind, temperature and salinity, to take a look at important Walleye pollock fish stocks, track Northern fur seals and locate right whales through sound. 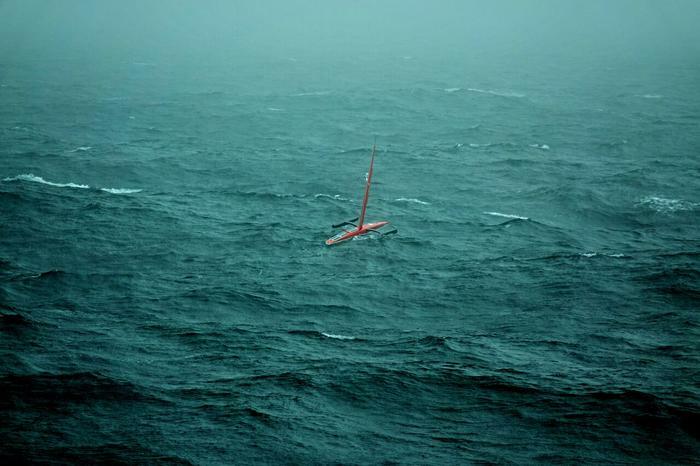 A fleet of unmanned autonomous sailing drones will be launched from Hobart to monitor the notoriously treacherous Southern Ocean. 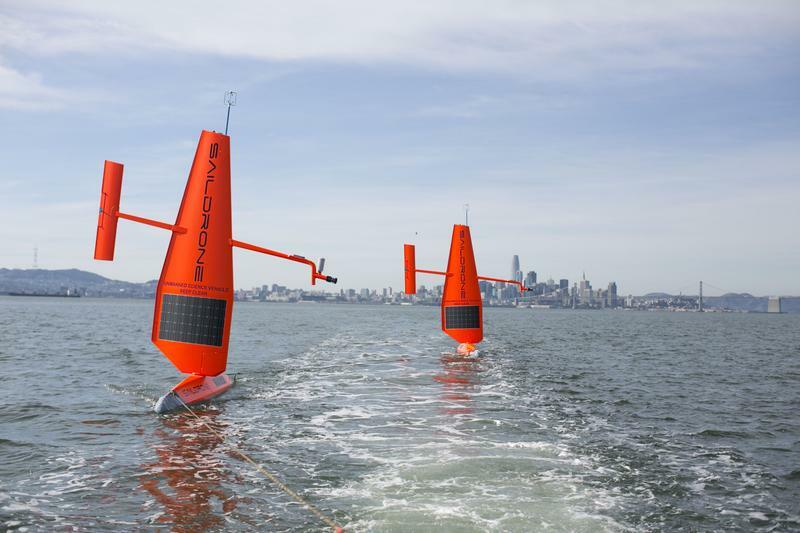 The three sea-surface drones – from San Francisco-based start-up Saildrone – will initially collect data on temperature, salinity, and ocean carbon levels, to provide estimates of biomass in the water column below. The vessels have been commissioned by CSIRO's Oceans and Atmosphere group, as part of a five-year research partnership with Saildrone. The USVs (unmanned science vehicles) are launched and retrieved from a dock, and navigate to a predetermined destination using wind power, travelling at an average speed of 3 to 5 knots. Each drone can then hold its position or perform set courses to survey an area, and can be at sea for up to a year at a time. Data is transmitted back to shore via satellite and delivered to researchers via Saildrone's API. "Saildrones are long-range research platforms that can be sent to remote locations for an extended period of time, delivering real-time data back to scientists that was previously impossible to collect," said CSIRO research group leader Andreas Marouchos. The ability to quickly re-task the drones remotely means CSIRO can deploy them to monitor difficult to predict natural events like marine heat waves or toxic algal blooms that in the past would have required extensive planning and expense for a ship and crew. "There's lots of opportunity to collect very interesting data with the drones across Australian waters and particularly in areas of ocean energy research in the Southern Ocean and in Antarctic waters where we see very little vessel variability and vessel access," Marouchos said. "We're also equipping the systems with a scientific echo sounder which will insonify the water column, basically ping the water column with an acoustic pulse which allows us to look at the biota, the fish, the critters in the water column as well as potential bubble seeps coming from the ocean floor," he added. The 20-foot 'wing', or sail, of the drones has been developed over a 10-year period by Saildrone's founder, British engineer Richard Jenkins. It is similar to the design used on the Greenbird, the vehicle Jenkins piloted to break the world land speed record for a wind-powered vehicle in 2009. He reached a speed of 202.9 km/h on the dry plains of Ivanpah Lake in Nevada, a record that still stands today. Jenkins began to apply the wing design to a sea-going vessel in 2012. The company's vessels have covered more than 60,000 nautical miles. "The Saildrone works with a combination of wind and solar using this unique patented wing. We harness the wind energy to push the vehicle along and then we use solar to charge the batteries and that runs the computers on board. So it doesn't consume anything while it goes along and so it can stay at sea almost indefinitely," Jenkins said. "Autonomy is a key technology for accessing the southern oceans, which are understudied due to the rough seas and the limited number of vessels that regularly pass through the region," he added. The Saildrones join a growing number of unmanned vessels monitoring Australia's surrounding waters. The Saildrones are expected to launch in March. In October, the Australian Institute of Marine Science (AIMS), completed a seven-day, 200 nautical mile trial voyage of its Wave Glider 'surfing robot'. The vessel is the first of a number of technologies being put to work on the Great Barrier Reef by AIMS, the result of a five-year joint research agreement with aerospace giant Boeing. Work is also underway to investigate the use of medium-range unmanned aerial systems equipped with hyperspectral cameras to collect high-quality imagery for seabed habitat mapping, modelling and classification, reef monitoring, and potentially 3-D reef reconstructions. CSIRO operates a number of Autonomous Underwater Vehicles (AUVs), like the Starbug X which was built by engineers at its Hobart base. The organisation also uses a number of robotic Argo floats, which drift at a one to two kilometre depth for ten days before ascending to the surface measuring temperature and salinity as they rise. The data is then transmitted to satellites, before the float dives and starts a new cycle.